The Risk Review Project focus at Hanford was to conduct an independent, Site-wide evaluation of human health, nuclear safety, environmental and cultural resource risks associated with existing hazards, environmental contamination and remaining cleanup activities. To ensure that information known to and views of all interested parties, including the public, were understood and taken into account, CRESP consulted with tribal nations and provided the public, stakeholders, and local, state, and federal entities opportunities to provide input at various points during the execution of the risk review. View the chronology of the participation of regulators, stakeholders and the Public. during the Hanford Site-wide Review Project 2014 through 2018. In January 2014, the U.S. Department of Energy (DOE) requested CRESP to conduct a site-wide evaluation of human health and environmental risks and impacts at Hanford. Beginning in World War II and continuing through the Cold War, Hanford played a major role in the production of plutonium for the nation’s defense. During Hanford’s peak years, nine nuclear reactors were operational along the Columbia River in southeastern Washington. Hanford’s defense mission ended in 1989. Now, Hanford’s mission is the treatment and disposal of radioactive wastes along with cleanup of soil, groundwater, and facilities contaminated from the defense work. This effort is massive and has proven to be technically challenging and very costly. About forty percent of the Department of Energy’s (DOE) nationwide cleanup budget or about $2.5 billion is directed each year toward Hanford’s cleanup. Despite the challenges and cost, considerable progress has been made in reducing the risks that the site poses to the public, worker safety and health, and the environment. Even so, cleanup is not expected to be completed at Hanford for another 50 years and perhaps longer. Future cleanup costs are projected to exceed $100 billion. To better understand the substantial work that lies ahead, the Department of Energy (DOE) asked an independent group of university researchers – the Consortium for Risk Evaluation with Stakeholder Participation (CRESP) – to conduct a comprehensive evaluation of current and future risks and impacts on people and the environment arising from the former defense work that took place at Hanford. In addition to providing the DOE with a better understanding of the risks associated with the remaining waste disposal and cleanup, the results of the risk evaluations are intended to provide insights on the order and timing of future cleanup activities and the selection, planning and execution of specific actions to be taken. The final report published on August 31 2018 contains the results of all evaluations conducted and the observations made during the execution of the risk review project. This includes ratings of the risks and impacts to people and protected resources (groundwater and the Columbia River and ecological resources) during the current time period and also during active cleanup and after cleanup has been completed. An overall rating has not been provided for cultural resources. Instead, information about cultural resources was gathered, described, and analyzed as a planning guide for future cleanup activities. 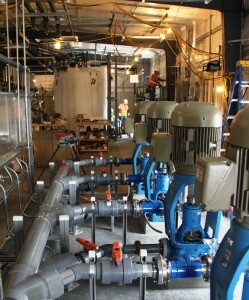 Risks from different types and forms of contamination have the potential to be realized at very different time scales. Contamination releases associated with stored wastes or contamination in facilities that are subject to earthquakes, fires, collapse or loss of active engineered controls, albeit low probability, have the potential at unpredictable times to result in rapid dispersion of contamination requiring urgent responses. In contrast, migration of remaining contamination from waste sites to the vadose zone to groundwater and from groundwater to the Columbia River in most locations present risks that may be realized only slowly over many decades to centuries. RISKS TO THE PUBLIC ARE MINIMAL OR LOW: Current risks and impacts to the public are considered extremely unlikely. Public access to the Hanford Site is prohibited except under very limited circumstances, such as tours, which do not include contaminated areas or areas undergoing active cleanup. Contaminated groundwater also is not considered a current threat to the public because groundwater is not being withdrawn for use or consumption. The only current risk to the public is from atmospheric dispersion of radioactive contaminants that may be released during a major fire or external event such as a severe earthquake. However, the probability of a contaminant release occurring that would threaten the public is remote. There are two reasons for this and both must apply. First, any risks to the public from airborne contaminants would occur only from facilities having large amounts of dispersible radioactive contaminants. Second, the risks would be realized only when the fire or event is so extreme that the extensive and monitored controls put in place to prevent the contaminant from becoming airborne or to contain the extent of the contamination traveling large distances to public areas, do not mitigate the risk. In the Plutonium Uranium Extraction Plant (PUREX) tunnels example, the risk to the public would only occur if a tunnel collapse was accompanied by fire. A fire may then lead to the widespread dispersal of radioactive contaminants in the air. RISKS TO ONSITE WORKERS ARE HIGHER THAN TO OTHER PEOPLE: The highest current risks to persons physically located within Hanford’s controlled access boundary are to workers (described as facility workers and co-located persons in this risk review project). Worker risks arise from (i) external or natural events (e.g., earthquakes or fire) affecting facilities that require active engineering controls, (ii) structural deterioration or failure of engineered facilities with high inventories of readily dispersible radioactive contaminants (e.g., Plutonium Uranium Extraction Plant (PUREX) tunnels), and (iii) accidents during remediation of subsurface contamination (e.g., Building 324) or retrieval of wastes (e.g., 618-11 vertical pipe units retrieval of buried radioactive transuranic waste/ tank wastes). In addition to workers, accidents that may occur during retrieval of subsurface contamination at Building 324 have the potential to affect people, who are located offsite. 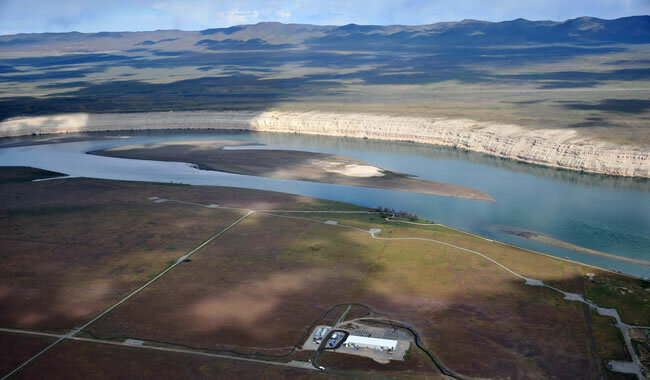 Accidents that may occur during retrieval of buried wastes at 618-11 legacy source site have the potential to impact people located at or near the Columbia Generating Station. DOE has measures in place to minimize or mitigate these potential threats. RISKS FROM TANK WASTES VARY DEPENDING ON WASTE COMPOSITION IN EACH TANK: There is considerable range in the composition and risks posed by wastes stored in tanks – thus, tank farms and tanks should be considered individually for waste retrieval sequencing, waste treatment and the extent of retrieval necessary to reduce risk. Wastes from defense material production accumulated in single shell and double shell tanks (i.e., “tank wastes”) collectively represent the largest inventory of radioactivity at the Hanford site. Treating tank wastes is important for reducing the long-term risk to people and the environment, but the radionuclide inventory is not what drives the urgency. What drives the urgency are two attributes of the waste that remain in some tanks – (i) the potential for hydrogen accumulation in the event of loss of active ventilation (leading to fire or deflagration), and (ii) content of key radionuclides (technetium-99 and iodine-129) that are mobile in the subsurface and could contaminate large quantities of groundwater, which is a protected natural resource. Additionally, during waste retrieval and processing, potential exposure to waste vapors and accidents are worker risk concerns. RISKS TO THE COLUMBIA RIVER AND ECOLOGICAL RESOURCES ARE LIMITED: Risks to the Columbia River and ecological resources associated with the River are very limited. These risks are focused in the (i) riparian zone (ecologically sensitive zone immediately adjacent to the river) and arise from physical disruption during cleanup activities (e.g., destruction of high value habitat) and (ii) benthic zone (gravel and sediment zone within the river bed), specifically in those areas of the zone that are vulnerable to the discharge of contaminants from groundwater. In the river corridor, DOE is addressing contamination through remediation actions including removal actions and groundwater remediation. RISKS TO PROTECTED RESOURCES VARY (Groundwater, Ecological and Cultural Resources): The greatest long-term risks to protected resources arise from (i) further migration of contaminants already within groundwater because groundwater itself is a protected resource, and (ii) the disruption or destruction of ecological and cultural resources by cleanup activities. The groundwater areas considered to be at highest risk that are not currently being mitigated are located in the 200 East area of the Central Plateau. The Columbia River currently is not at risk from groundwater contamination, although the ecological and eco-cultural resources in some riparian zones may be impacted from physical disruptions or introduction of invasive species during cleanup. Five overarching observations emerged from the results of the Hanford Site-wide Risk Review Project. Risk to members of the public currently are considered to be low or not discernible. Timing of cleanup may reduce worker risk. A major earthquake or other regional catastrophic event may affect multiple facilities simultaneously, and potentially may release significant quantities of radiological contaminants from multiple facilities. The ecological resources on the Hanford Site are very important to the Columbia River Basin ecoregion. The Site contains both federal and state threatened and endangered species. DOE stewardship has helped protect and enhance these resources. The historical and cultural significance at the Hanford Site stretches over 10,000 years, which the DOE recognizes and actively supports through its stewardship of the site. The first part of the project was the development of scientifically sound approaches that distinguish a range of effects (e.g., not discernible, low, high) on people and protected resources (groundwater, the Columbia River, ecological, and cultural) from exposure to contaminants in the areas remaining to be cleaned up. These areas range from buried solid waste sites to contaminated groundwater plumes. Separate and distinct methodologies were developed to assess risks and impacts to people, groundwater, and ecological and cultural resources. Each methodology describes how the risks and impacts are to be rated based on the likelihood of an event occurring that triggers a release of contaminants that in turn threaten people and/or resources. The project’s second part consisted of the development of an interim report, which contains the evaluations and ratings of 25 of the 64 evaluation units using the methodologies developed for rating risks from contamination on people, groundwater and the Columbia River, and ecological and cultural resources. To conduct the evaluations and make the ratings, publically available information was gathered and analyzed on each unit. For cultural resources, professional archaeologists thoroughly reviewed cultural resource records to determine whether a resource is or has been present. The third part of the risk review project was the development of the final report, which contains the evaluations of all the units including those not analyzed for the interim report, results, and observations. Evaluations of some of the units addressed in the interim report were updated for the final report. Appendices to the report contain the completed evaluation templates and underlying documentation supporting ecological and cultural resources. Both the methodology and interim report documents were reviewed by a group of experts as well as by the DOE and its regulators. The public and stakeholders also were given the opportunity to provide written comments. Comments made on the methodology informed the interim report. Input received from the public, DOE and its regulated agencies, and stakeholders on the interim report aided the development of this report. Finally, this report has undergone technical reviews by the DOE and outside experts. The results of the Risk Review Project are intended to provide the DOE, regulators, tribal nations, and the public with a more comprehensive understanding of the remaining cleanup at the Hanford Site to help inform (1) decisions on sequencing of future cleanup activities, and (2) selection, planning and execution of specific cleanup actions, including which areas at the Hanford Site should be addressed earlier for additional characterization, analysis, and remediation. The Pacific Northwest National Laboratory (PNNL) provided research and other assistance in a supporting role to CRESP during the Risk Review Project. The Core Team provided advice and guidance on the development and execution of the Risk Review Project through the completion of the Interim Progress Report. To ensure that information known to and views of all interested parties, including the public, were understood and taken into account, CRESP consulted with tribal nations and provided the public, stakeholders, and local, state, and federal entities opportunities to provide input at various points during the execution of the risk review. View the chronology of the participation of regulators, stakeholders and the Public. during the Hanford Site-wide Review Project 2014 through 2018. Comments or questions may be submitted via this website at any time.